Homes and cities that are energy efficient contribute to healthier and more vibrant communities. Energy-efficient industries meet growing demand — producing more while using less. Super-efficient consumer technologies save money, increase the reliability of energy systems, and enable energy access. How does energy efficiency protect the climate? In addition to the demand for electricity, which accounts for 40 percent of human-related greenhouse gas emissions, the industrial, buildings, and consumer appliances and technology sectors account for approximately another 20 percent of emissions through direct combustion of fossil fuels. Climate pollution attributable to these sectors is projected to increase, but with the right policies, incentives, and technologies, increased energy efficiency can reduce pollution, protect the climate, and strengthen the economy. By 2030, low-carbon growth in the industrial and buildings sectors would yield more than $3.2 trillion in public health-related savings. By 2030, climate action in the buildings and industrial sectors would increase crop yields, helping feed 16 million more people. These key data points are from Climate-Smart Development: Adding Up the Benefits of Actions that Help Build Prosperity, End Poverty and Combat Climate Change, developed in 2014 by ClimateWorks and the World Bank. Building on research to quantify the benefits of climate action and highlight scalable solutions, the report provides a framework to better understand the climate risks and benefits in different pathways to sustainable development. Its findings clearly demonstrate that climate action can both be a boon for economic activity, and deliver significant benefits to the climate. The Energy Efficiency Portfolio promotes clean and efficient energy in the buildings, industry, and consumer technology sectors with a range of strategies to advance public and corporate policy that benefit both the economy and society. Bold energy efficiency targets and policies cut climate pollution, while fueling innovation. To speed their development and adoption, ClimateWorks and its partners support and provide technical expertise to policy-makers, businesses, and other change-makers — advancing efforts that are proven to dramatically improve energy efficiency and shrink energy use, such as codes, standards, and labels for consumer technologies, industrial equipment, and buildings. ClimateWorks is exploring efforts to advance energy efficiency through corporate supply chains. Once on the books, energy efficiency targets and policies often require implementation support to deliver the maximum benefits possible and make more ambitious policies and targets possible. ClimateWorks and its partners focus on the development, communication, and use of best practices, for example by helping businesses, governments, and communities to develop roadmaps and to adopt technologies that support the use of energy at a time and cost that works best for them. Next-generation energy efficiency will go beyond specific products or practices, ultimately impacting highly integrated systems, products, and processes that represent much larger energy reduction opportunities. ClimateWorks and its partners are accelerating this process by promoting integrated approaches such as strategic energy management systems in industry, and net-zero energy homes and buildings that combine renewables and energy efficiency. Our energy efficiency finance strategy has two goals: it must mobilize and scale to meet the needs of next-generation technologies, products, and services, while simultaneously pivoting sharply away from energy inefficient technologies, buildings, and industries. By developing and supporting initiatives targeting the major sources of finance — governments, institutional investors, development banks, and energy service companies — ClimateWorks and its partners are helping shift the balance of finance from the energy-inefficient to energy-efficient investments. The provision and disclosure of data can play a key role in driving progress on energy efficiency by building the foundations for effective, new policy, and transforming markets and energy management. ClimateWorks and its partners are promoting greater access to, availability of, and transparency in energy prices and consumption data in the buildings, industrial, and consumer technology sectors. The Energy Efficiency Portfolio is coordinated through ClimateWorks by staff with expertise in public policy, research, politics, and philanthropy, and in collaboration with ClimateWorks' funding and regional partners. Dan Hamza-Goodacre is Executive Director of the Kigali Cooling Efficiency Program, a global initiative helping developing countries improve the efficiency of cooling as they reduce pollution from F-gases. Dan has worked on sustainable development in the public and private sectors across the globe for over 20 years. Prior to K-CEP, Dan was Director of Buildings and Industry at ClimateWorks. Before working in philanthropy, Dan was with PwC, where he served as Deputy CEO of the Climate and Development Knowledge Network, a multi-lateral aid program to help developing countries respond to climate change. Dan held various posts with the U.K. Environment and Agriculture Ministry, including: Head of the Secretary of State’s office; co-founder of the UK’s Adapting to Climate Change Program; Adaptation Policy Lead for the UK Climate Change Act and Sustainable Agriculture Advisor. Dan also worked for the UK Foreign Office as a Climate Attaché. He is a regular speaker and moderator at conferences and events and has written widely on climate and development. 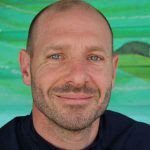 Dan has an MSc in International Development from Bristol University, where he also lectured and researched global environmental politics. In his early career Dan lived and worked in the rainforests of Latin America. 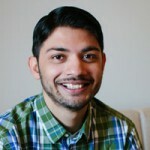 Prodipto Roy is the Program Manager of the Buildings and Industry portfolio at the ClimateWorks Foundation. At ClimateWorks, he manages the portfolio focusing on and aiming to decarbonize the buildings and industry sectors in high-emitting regions by 2050. He focuses on strategies on global supply chains, embodied carbon, electrification, low-carbon materials development, energy efficiency codes and standards, and unleashing the power of procurement in the public and private sectors. Prior to joining ClimateWorks, Prodipto worked at the Mayor’s office in Los Angeles, where he focused on a variety of projects including supporting the Port of Los Angeles & Long Beach move towards a zero-emissions future and stimulating the water infrastructure sector in Southern California to modernize and create jobs. Prodipto holds a B.S. in Environmental Science and Environmental Policy from the University of California, Los Angeles, and is a current MBA candidate at the Haas School of Business at the University of California, Berkeley. Helen Picot is the Senior Associate on the Buildings and Industry program. 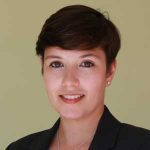 Prior to joining ClimateWorks, Helen spent three years working in PwC’s Sustainability and Climate Change consultancy in London. There she worked on a range of climate and international development projects, including the Climate and Development Knowledge Network (CDKN), a DFID and Dutch-funded global program that supports developing countries in the climate negotiations. Helen holds a BA and MSci in Natural Sciences (Geology) from Cambridge University, and an MSc in Environmental Technology from Imperial College London.